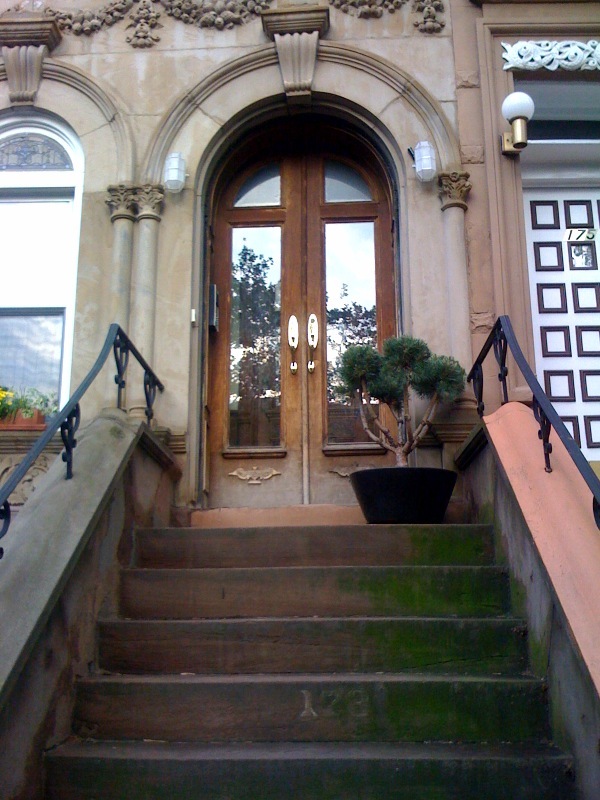 Love these brownstone steps. Doesn’t using real terra cotta pots and saucers make all the difference here? 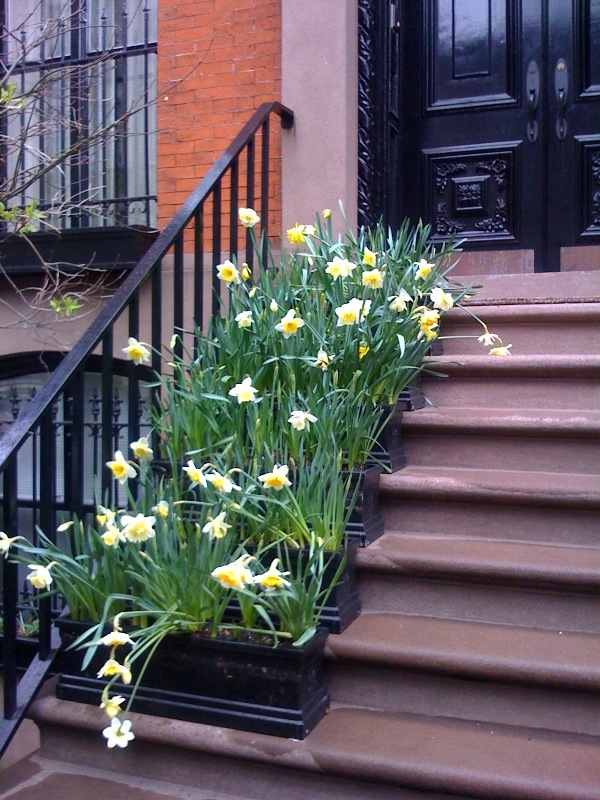 Gardening snobs might shudder to see simple annuals repeated like this, but I dig it. 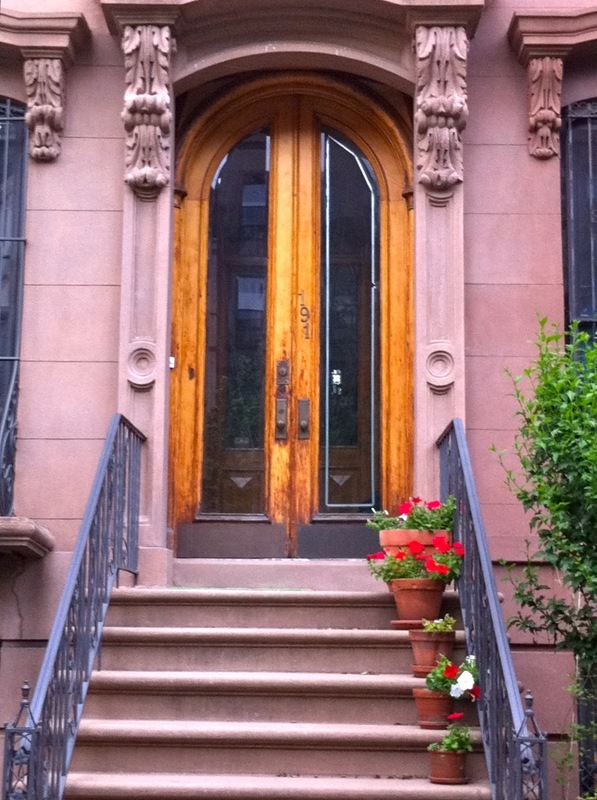 Why doesn’t every brownstone in Brooklyn invest $100 and two hours to have something this great, eh? 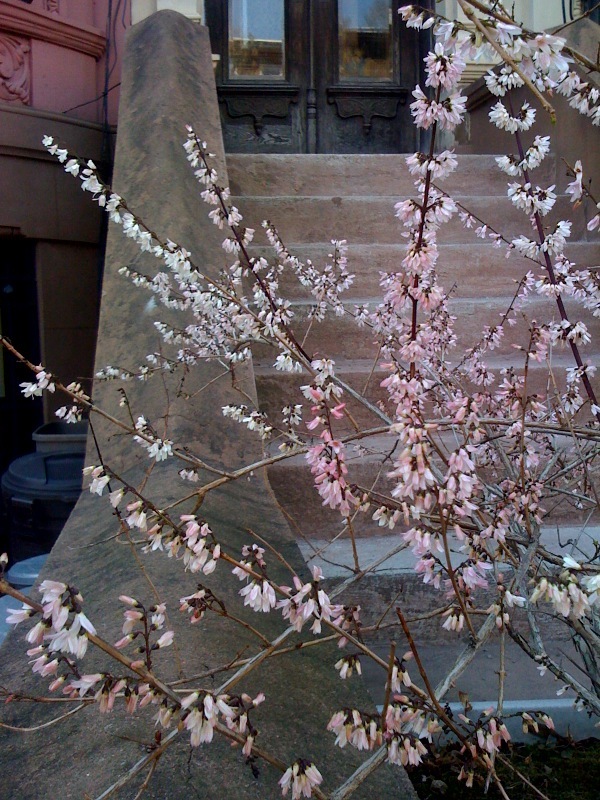 We don’t know the name of this plant (do you? 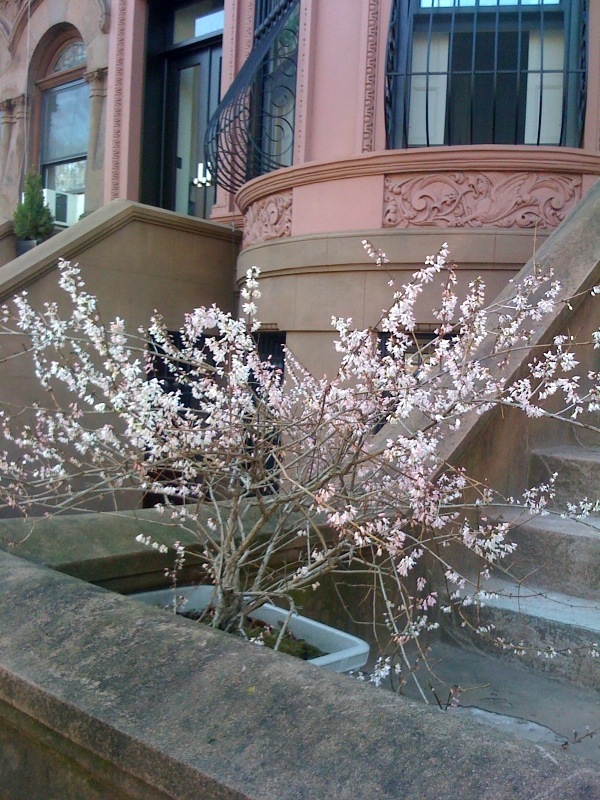 ), but we love how this bush brightens this Brooklyn brownstone stoop. 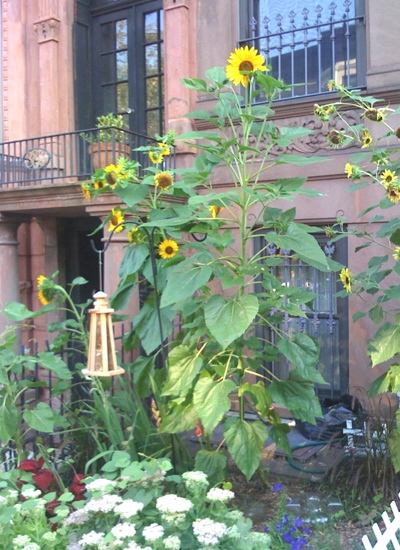 We finally snapped a picture of my favorite Brooklyn brownstone stoop gardens this afternoon. 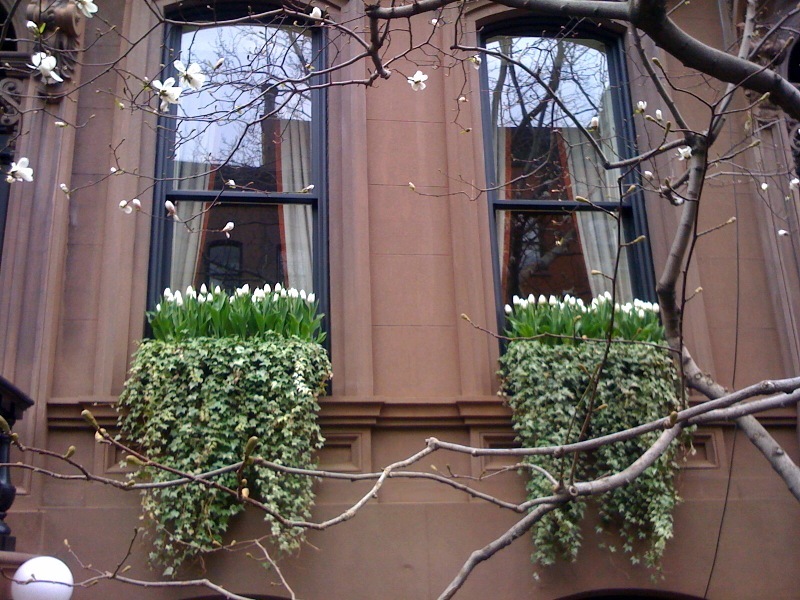 This brownstone planter is simple — just two plants — and elegant. 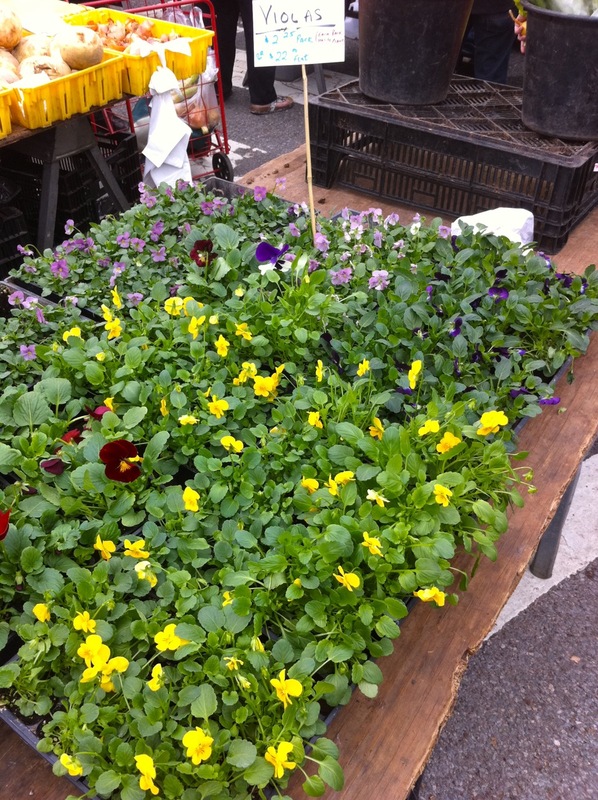 The plants take advantage of their location; passers buy look up into the grass and little blue flowers. If this planting was viewed at ground level, the little flowers might get lost, but here their lacy best can be appreciated at eye level. The plants manage to show off the container without making the container the star. 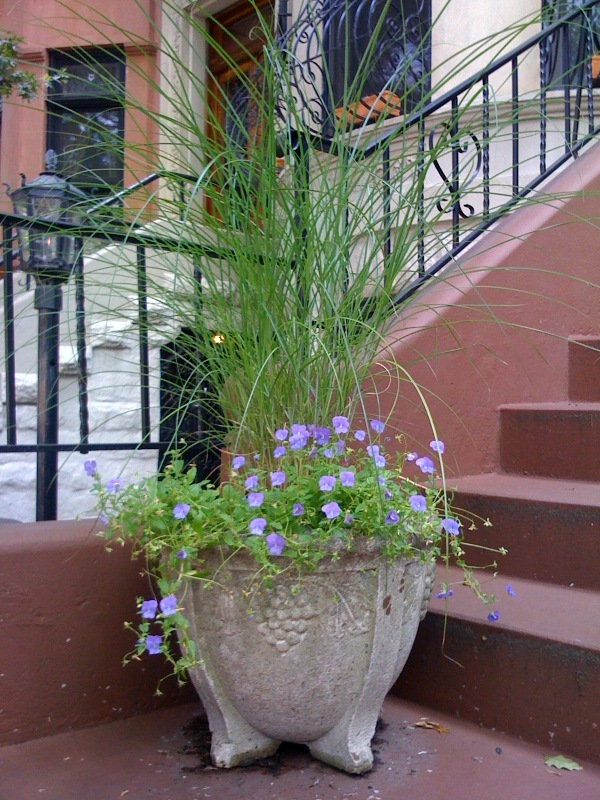 Unlike some containers that peek and then loose their appeal, this planter has looked great since spring. It breaks the “thriller, spiller, filler rule” with much success. Does anyone recognize the plants in this container? 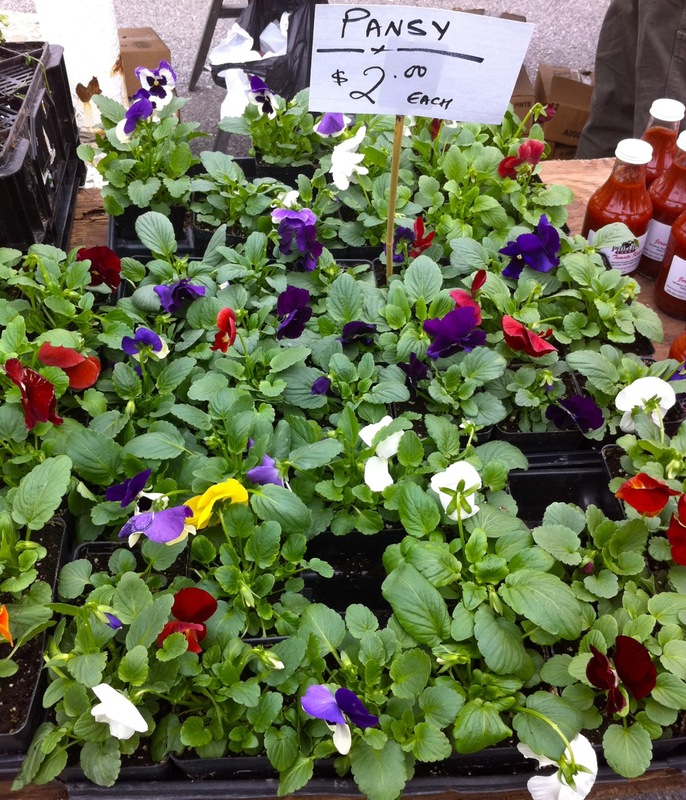 For another great container garden in the same neighborhood, check out this Brooklyn window box overflowing with petunias.